Santa Fe Grande is also known as the Güero Chile (yellow hot chile) in the southwest United States. 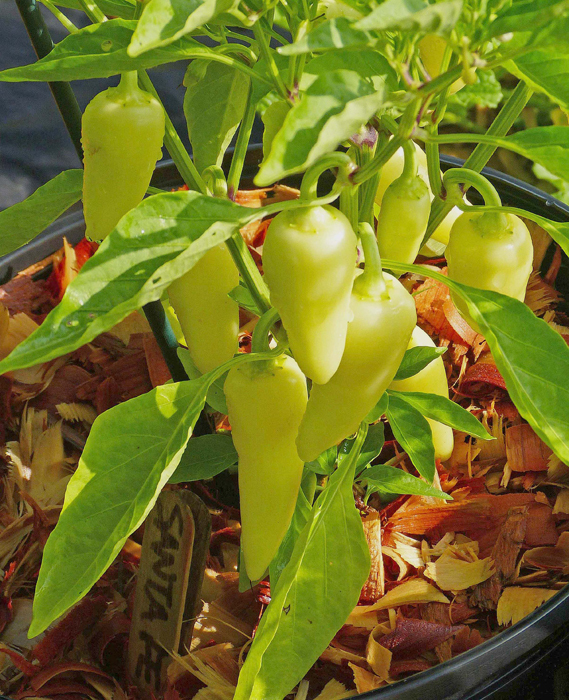 This is a very prolific pepper, setting medium (around 4”) length ivory cones all over my small plant. 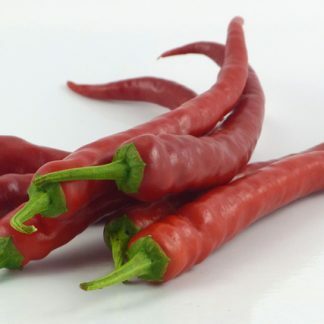 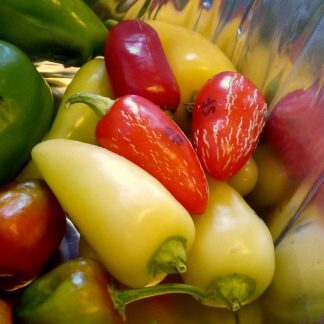 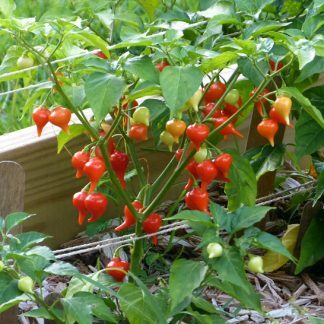 The chiles ripen to red eventually, and the heat ranges from mild to medium, depending upon watering and weather.